So, let’s talk about the image issue. If you have a potential client over for a discussion and they need to visit the restroom, what will they find? Dirty toilets? A wet, slippery floor? An empty paper towel dispenser or soap dispenser? And what’s that smell? Any of those things can turn a potential client off to making a deal. But it’s not just clients. What about talented potential employees? What about your current employees? Keeping your restrooms, break rooms and all areas of the business clean will spread the right impression that you really care about everyone who comes through the door. Cleanliness matters to everyone, but especially the people who work in your facility. They have to spend their days there; the cleanliness of the facility can directly impact their attention and focus. If the restroom is smelly and unkempt, employees might avoid using it—causing even more distraction and discomfort. Ideally, you want the restrooms to be so clean and functional that employees hardly even think about them. 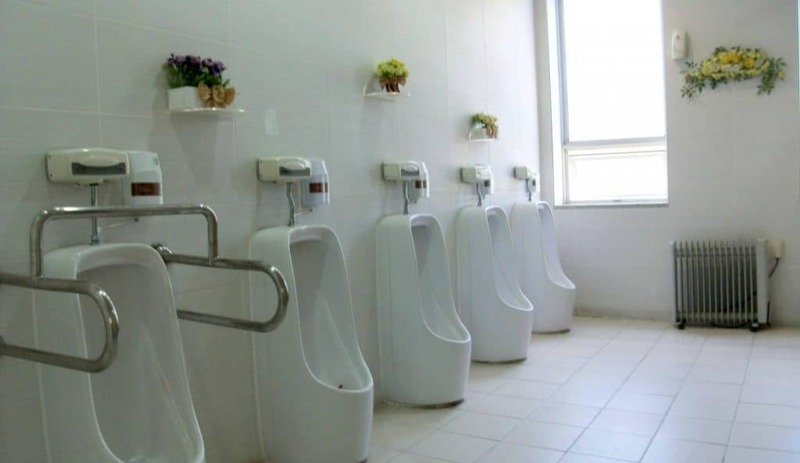 A proper, professional restroom service can make sure that’s the case. Keep the soap and paper towel dispensers well maintained in the restroom and breakroom. Place hand sanitizing stations at strategic locations throughout the building. I have worked with the staff at Loyal Hygiene for several years and they have consistently provided quality solutions and timely services to meet our needs. The loyal staff is always prompt, proactive and very professional. You’d be shocked at just how easy it is to spread germs around the workplace. In fact, it’s hard to stop them. Take a look at this journalist’s experiment to see just how easily germs spread. In addition to the company itself taking measures to keep the workplace clean, it’s important to get all the employees on board too. It directly impacts their quality of life as well as your bottom line! It’s all connected, so download this poster and place it in hotspots like the break room and restrooms. Restroom floors can present all kinds of hidden hazards. People can track all kinds of germs in and out of the restroom and all over the office. So, keeping the floors clean daily and having the mop heads regularly changed out can really help cut down on the germs. Our regular floor mat service also helps reduce harmful microbes as well as preventing slip and fall dangers that can have your insurance company in fits. If you want to get really serious and really safe with your workplace hygiene today, Contact Loyal Workplace Hygiene Solutions (703) 361-7888 for a customized consultation designed to make your unique workplace environment as safe and clean as possible!